Kat suggested ” a Chapter organization page because a lot of comments get lost in the rummage and no one reads them.” This seems a very sensible idea, so this is a fresh page where you can discuss details and ideas for Trailing Stars. You can find the original Trailing Stars page here. It includes the story outline and the list of writers and editors. 120 Responses to "Trailing Stars: Organisation Page"
Actually Kate said she would post after Christmas.she said all she had to do was post cuz it’s all done.are you calling Kate a liar?are you calling ME a liar?saying it’s impossible is calling us liars.no disrespect. Uhh she did post it after Christmas. And no, I’m not, I’m saying that Meadow had said she finished the chapter, so it’s impossible as in it’s impossible to wait for her to finish, because she’s done. I’m not calling you a liar. 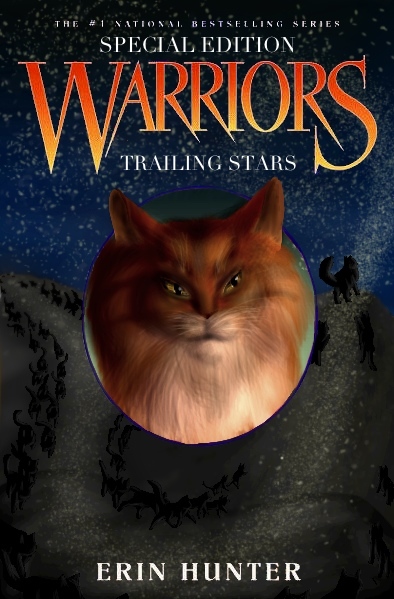 Will the Trailing Stars book actually be published into a paperback novel? No, it’s just a fan project. Hello mod, whoever and wherever you are. 🙂 How are you on this Wonderful Wednesday? Thanks. 🙂 How about you? Then you’ll be in the Jar. Kate! When do we resubmit Jar forms?